Periodicals are any published materials that come out periodically, that is on a regular basis, daily, weekly, monthly, etc. These include newspapers, magazines, trade and professional journals, and scholarly research journals. The Library subscribes to a variety of print periodicals. Current issues are located in the Library's Periodical Reading Room on the main floor. The articles in periodicals can be located by searching online Databases that are subscribed to by the Library. Many of these databases include the full-text of articles. What is a Scholarly Journal? What is Peer Review? A scholarly journal publishes authoritative research articles by academics or experts in a discipline. The articles often undergo peer-review, that is they are evaluated by other experts before publication. Omnivore ArticleSearch, and most databases, have a button to check when you search or limit/filter your search results. Limiting your search results to articles published in peer reviewed scholarly journals is the first step. How do I know if it is an actual research article? A research article reports the original work of a scholar and will present evidence and conclusions. 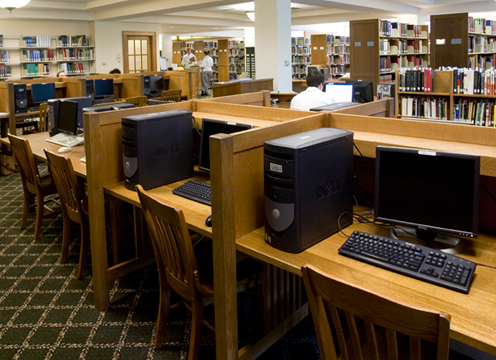 Library Databases for Articles, EBooks and more can be accessed off-campus by CIA students, staff and faculty from anywhere in the world with an internet connection! NOVELNY databases can be accessed from anywhere within New York State. To access Databases off-campus, use your CIA email username and password.